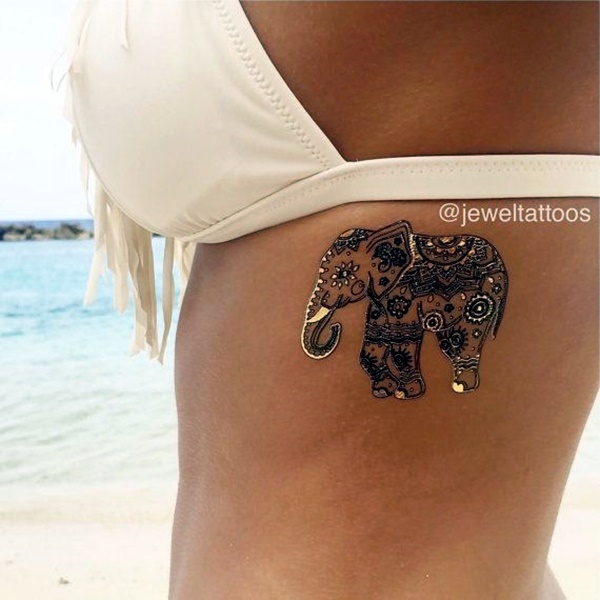 Tattoos while very popular and widespread are a commitment that you make in terms of allotting a portion of your body to it. 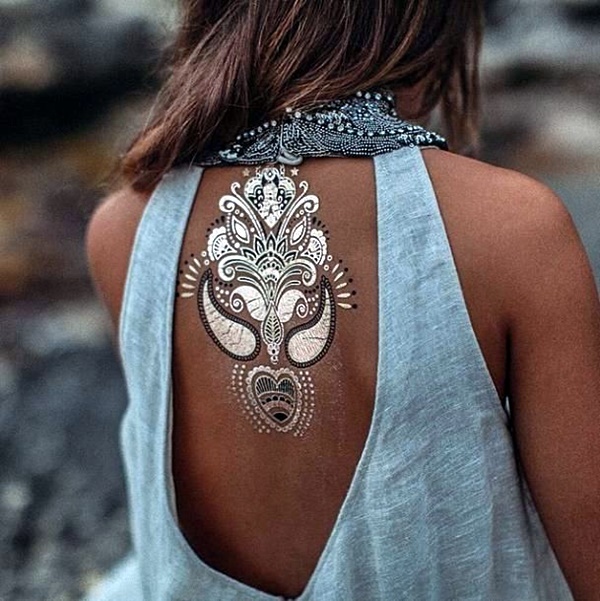 This includes not only the selection of the tattoo design, deciding on what part of the body that you want it on, going through the pain or discomfort of the tattooing process, the painstaking aftercare required of the tattoo and the permanent space on your body. 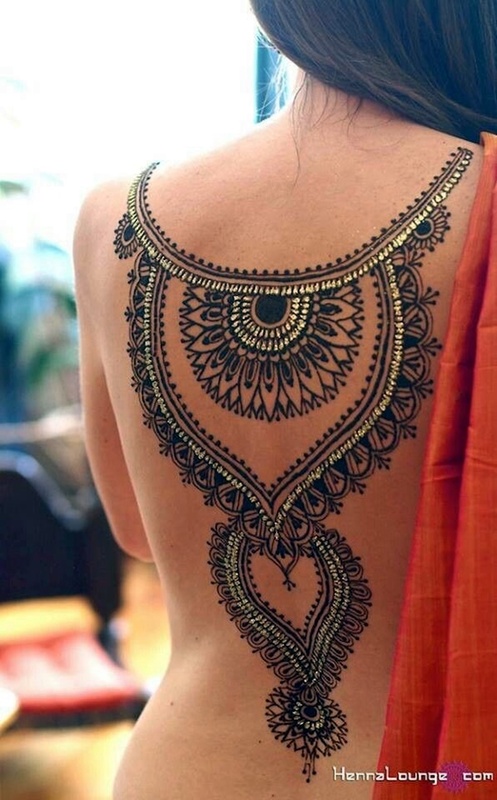 This means that it is not an easy decision and should not be taken lightly. 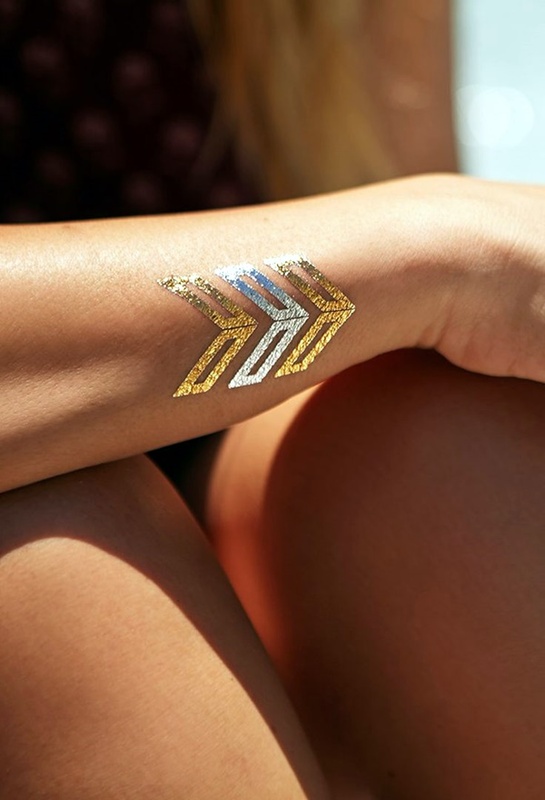 For those who are not ready to commit to a permanent tattoo, the idea of metallic tattoos is a genius proposition, one that they can enjoy without any of the commitment. 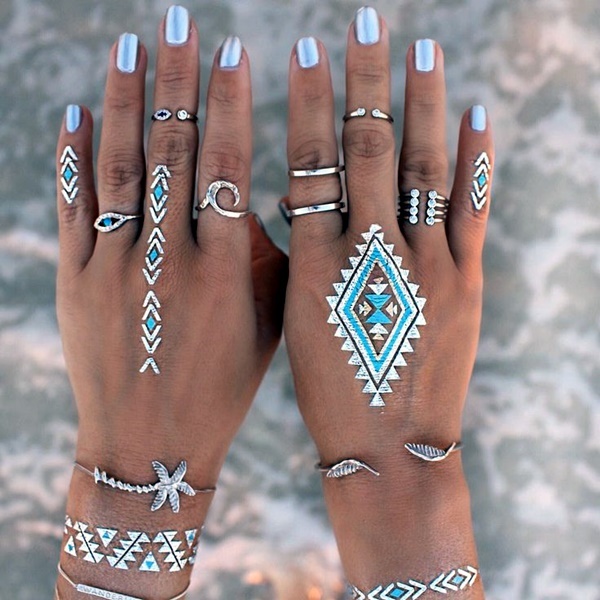 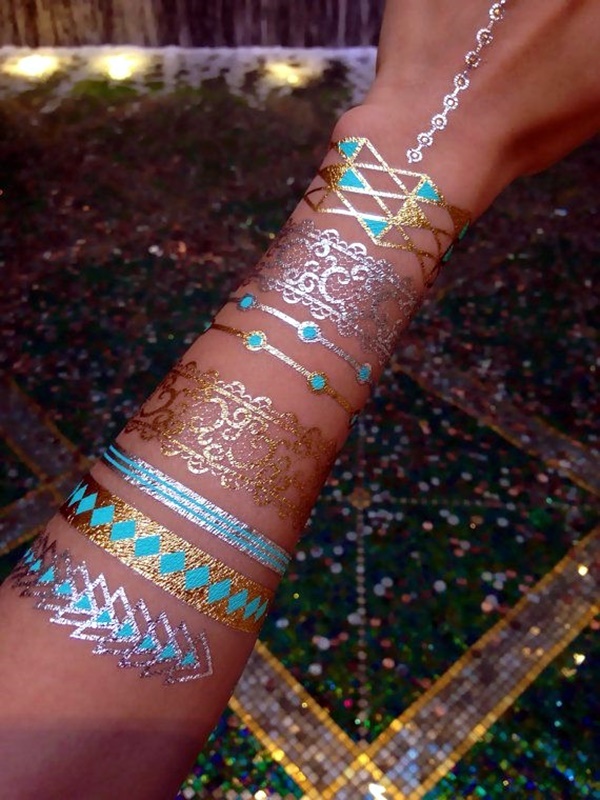 What is more, metallic tattoos are bright and beautiful making them ideal for any festive occasion. 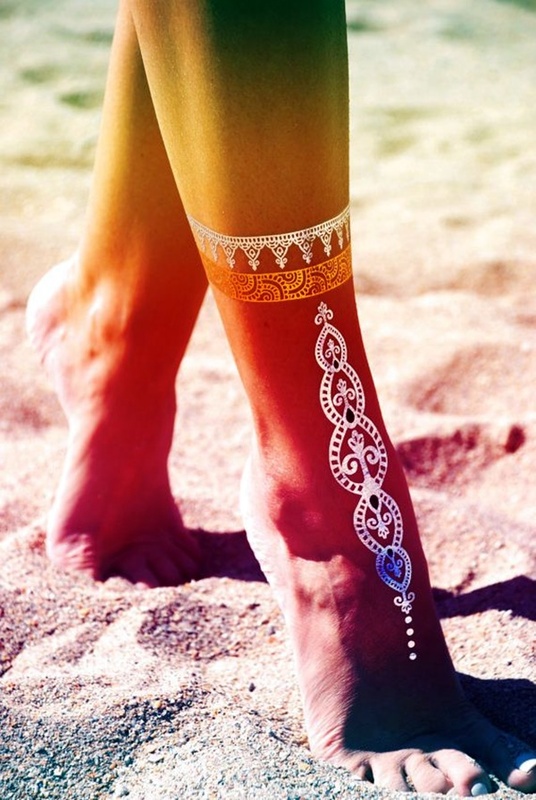 It is like being able to use free tattoo stencils and that too with an added benefit of glitz and glamor. 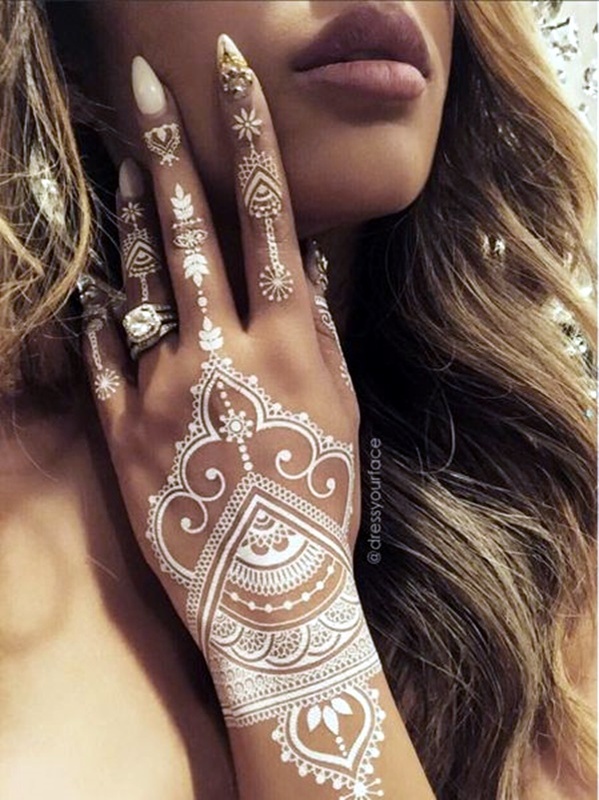 If you are not convinced that there can be temporary tattoos, then all you need to do is look at beautiful henna tattoo designs to know that it is possible. 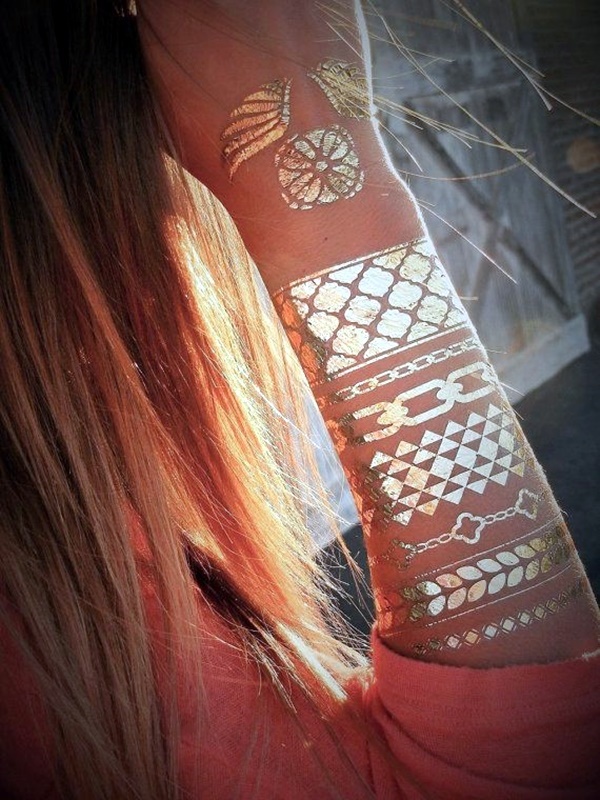 In fact, we can go so far as to say that metallic tattoos are even better than henna tattoos as the removal process is quicker and simpler. 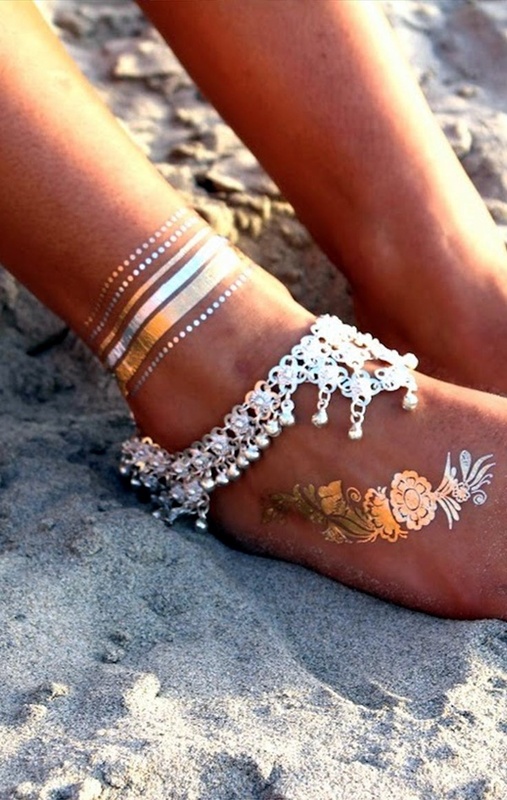 If you want, you can add charming touches to your adorable fairy tattoo designs to add that extra touch for a special occasion. 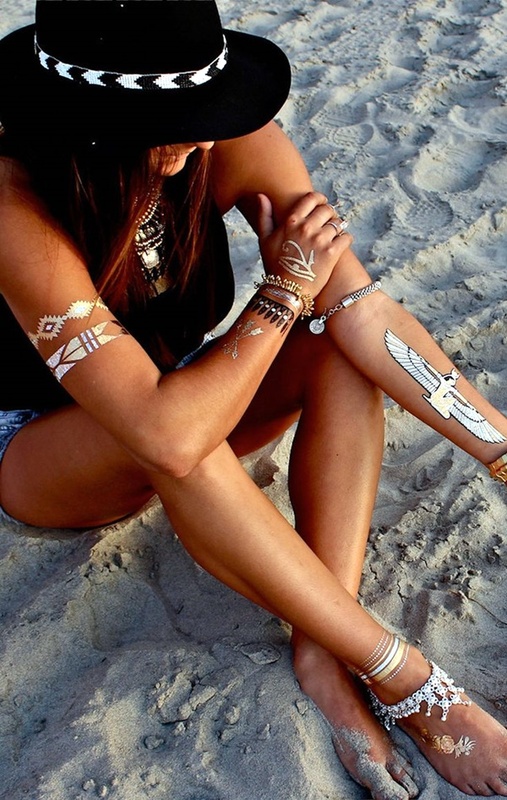 You can change it a lot: You have to admit that while having a tattoo is cool, there are only so many tattoos you can get without going overboard. 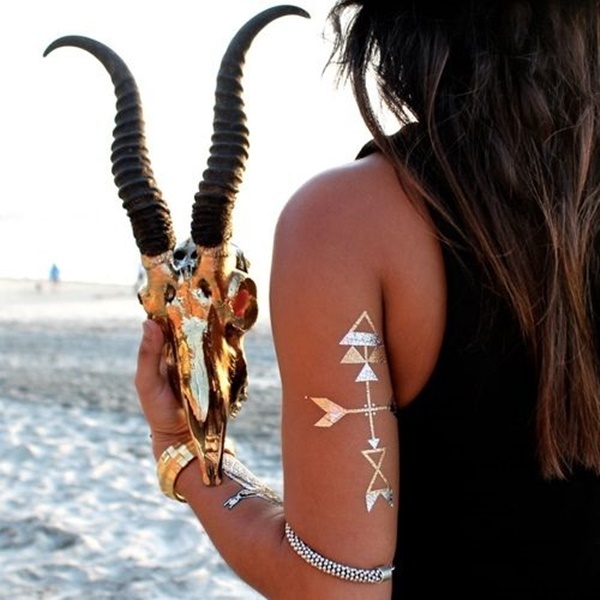 We know some people have completely committed to tattoos and tattooed quite a bit of their body, but this may not be your choice. 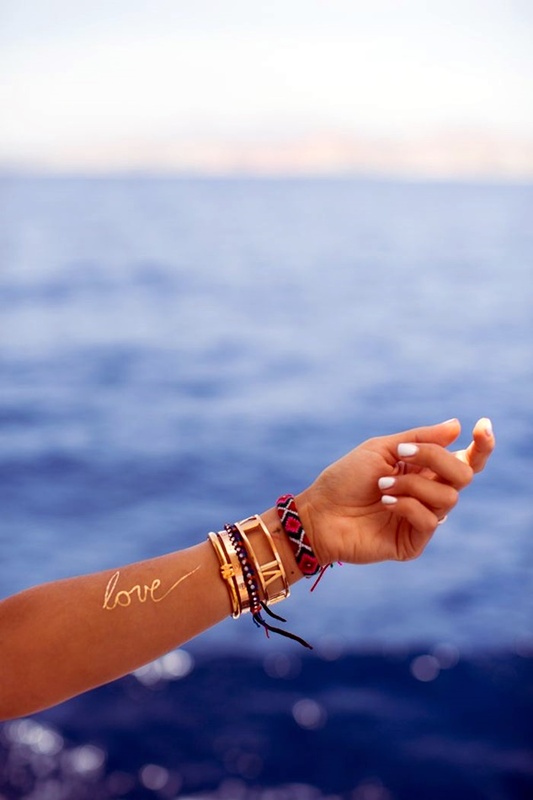 What is more, it can be a painful to do that. 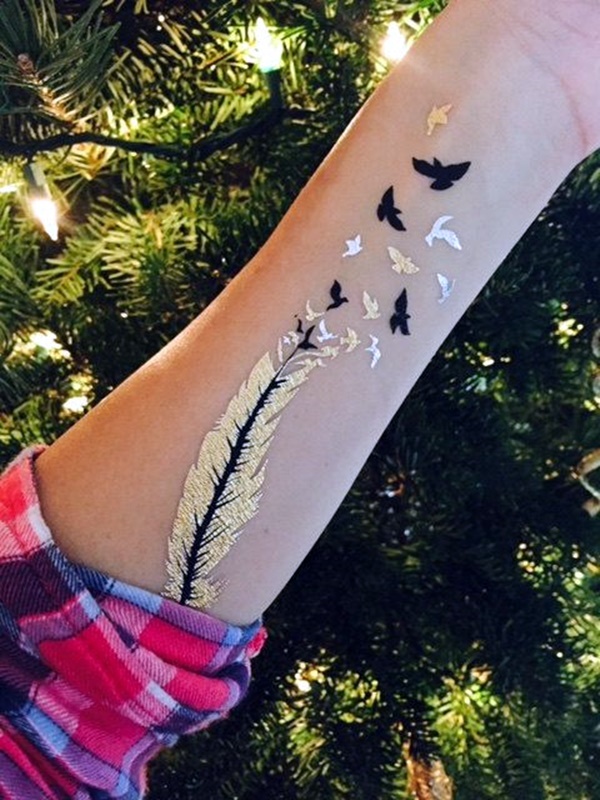 What if you had the choice to keep changing tattoo designs? 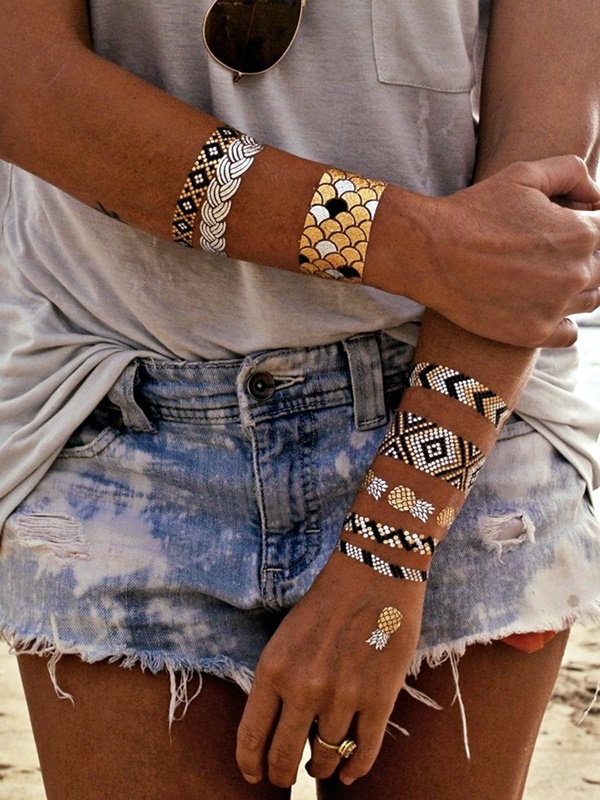 This is what metallic tattoos are all about. 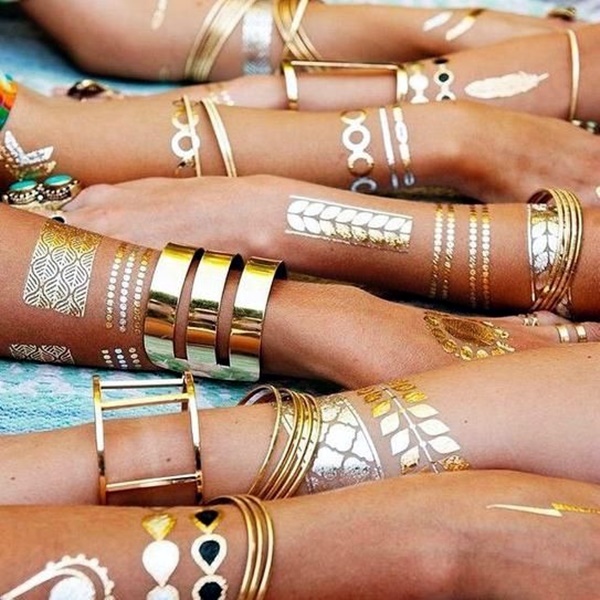 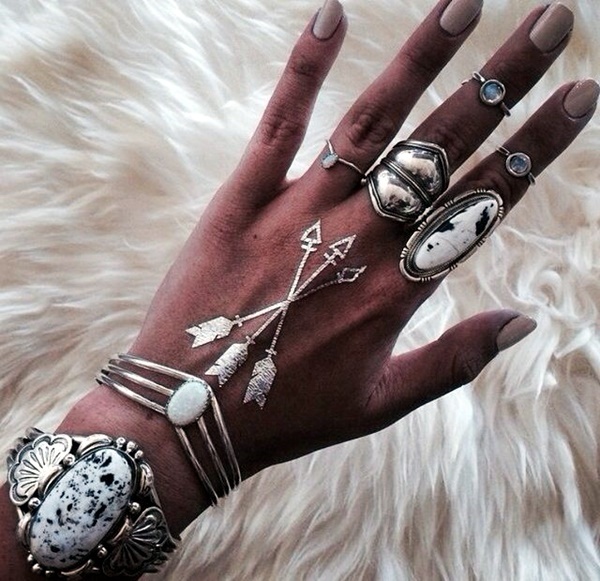 It can class up a look: If you are dressing for a special occasion but do not want to go all out on wearing loads of jewelry, then the simple alternative is to go for some metallic tattoos that are well placed. 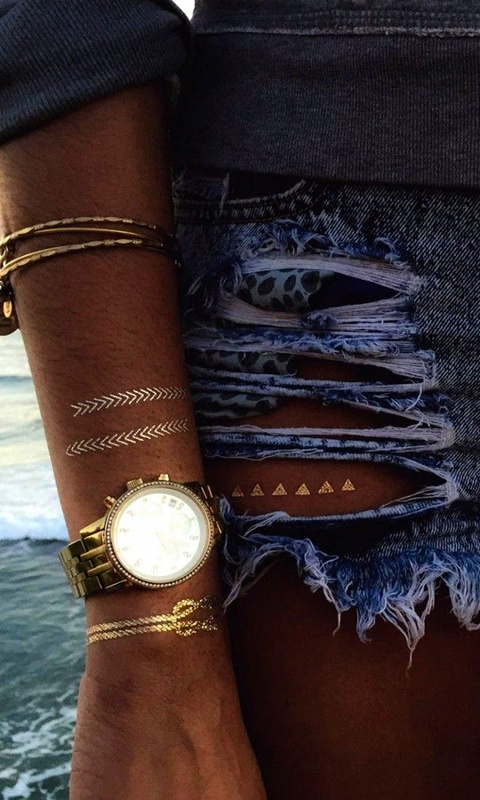 Unlike conventional jewels that can appear to be too much with certain types of clothing, metallic tattoos can also work with shorts, jeans, and even swimwear. 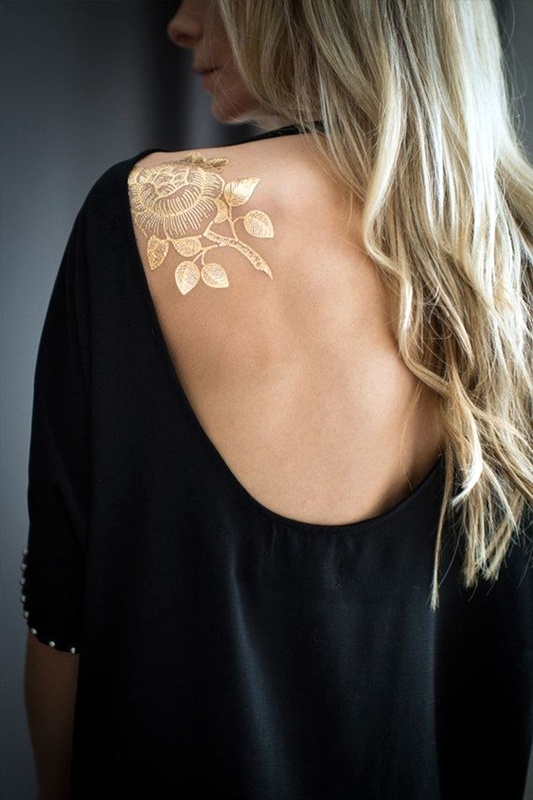 It works best for bare dresses: In case you are feeling too conscious about going out in a barely there dress, then one of the ways to feel a bit more covered is to have some metallic tattoos on. 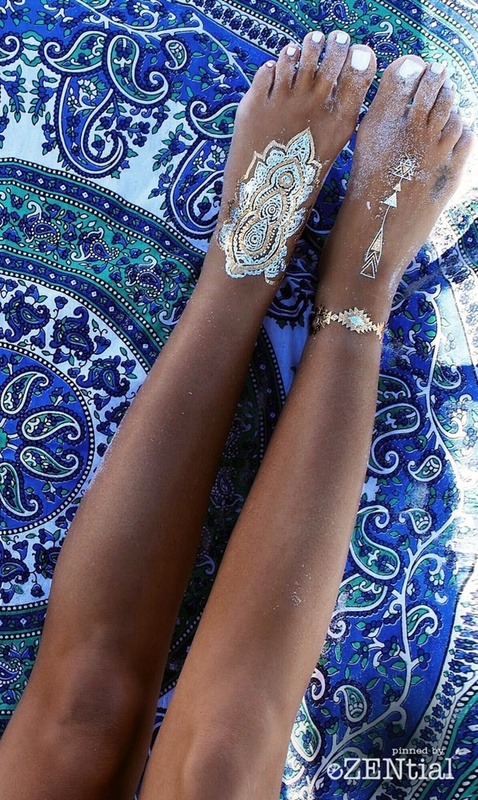 This way you need not feel that conscious of being too bare and also the necessity of wearing underwear that is not suited under the dress. 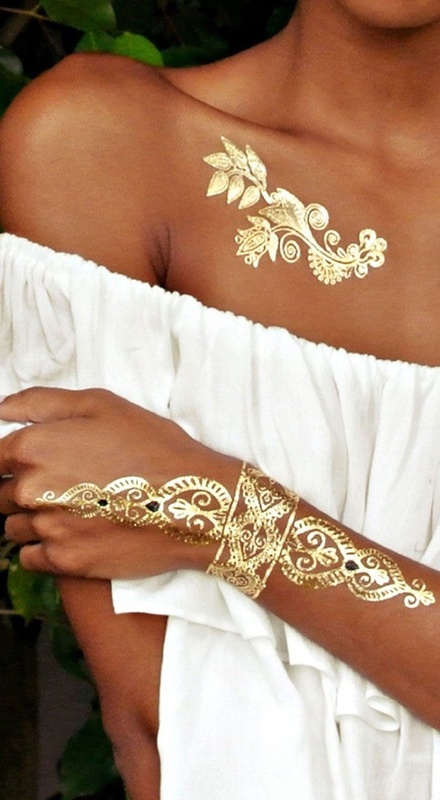 The deep neck or back or the bare arms that are worrying you can be covered strategically with metallic tattoos. 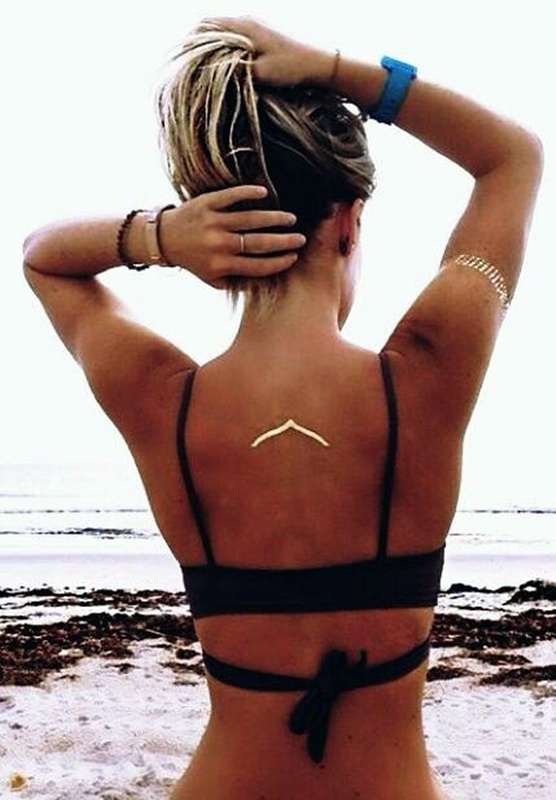 There are lots of choices: We all crave the freedom (and sometimes confusion) that having plenty of choice brings. 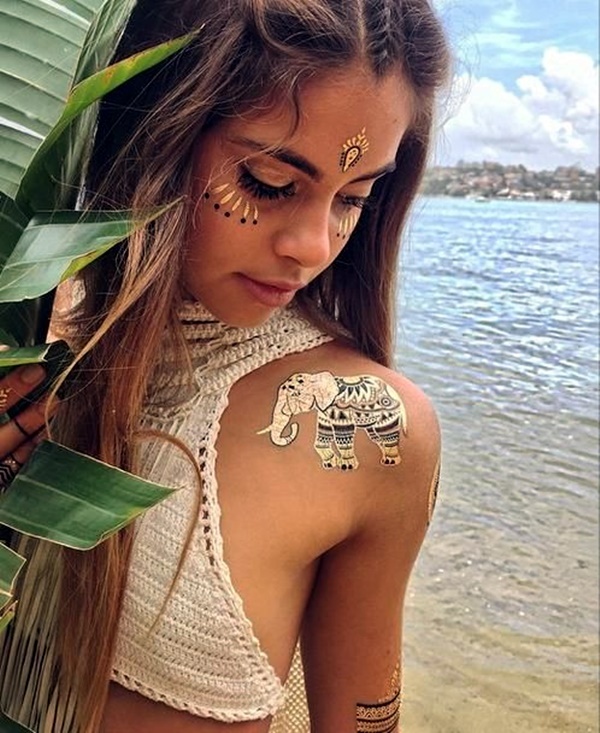 This is because we do not want to be forced to pick up something that does not appeal to you that much but you do it anyway because of the dearth of choices. 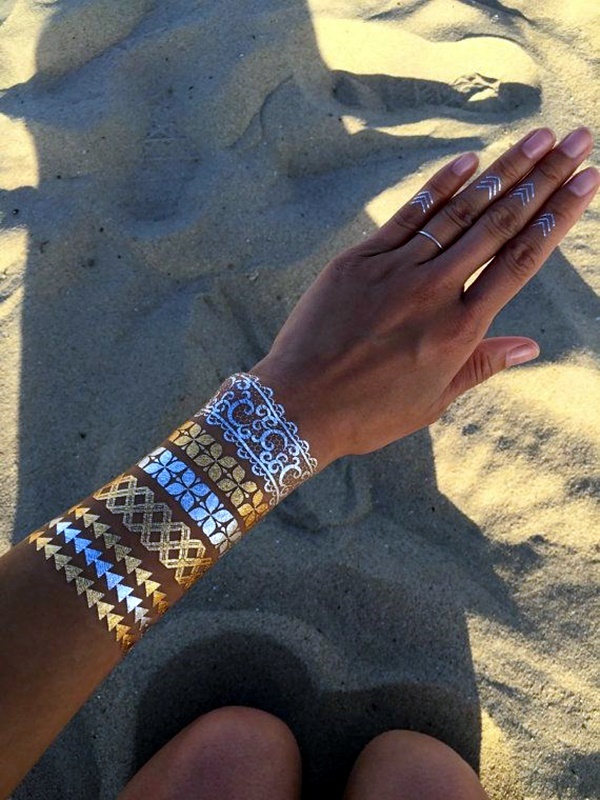 The thing about metallic tattoos is that as long as your skin does not react adversely to them, you can go all out and try several. 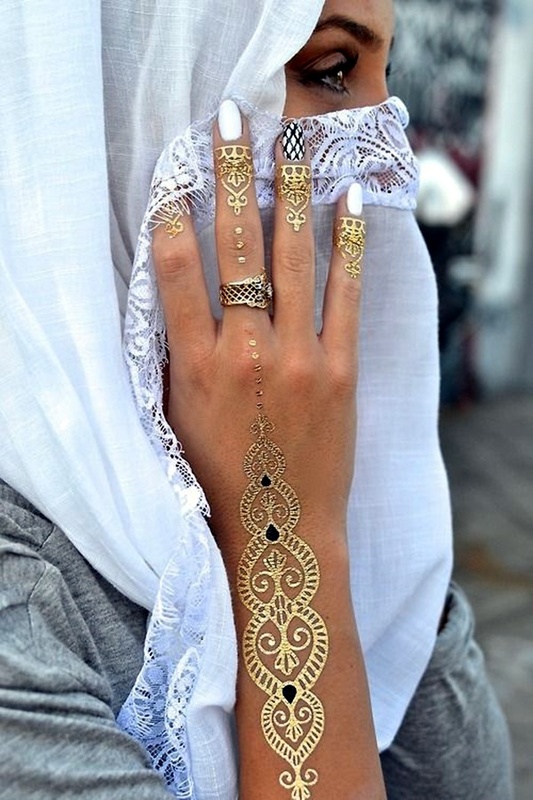 The thing is you can even combine it with conventional designs made by henna for a good combination. 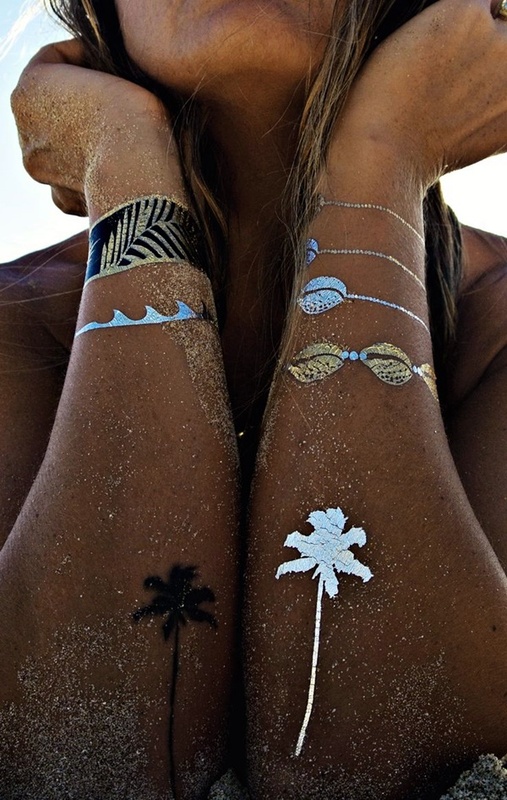 We are sure that the images given here would inspire you to go for some of your own.